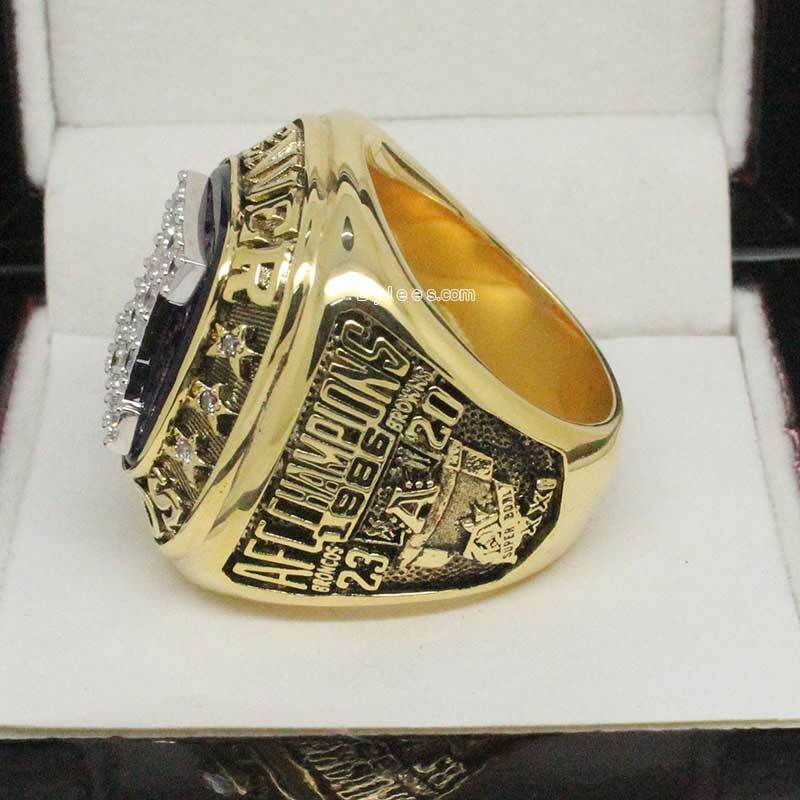 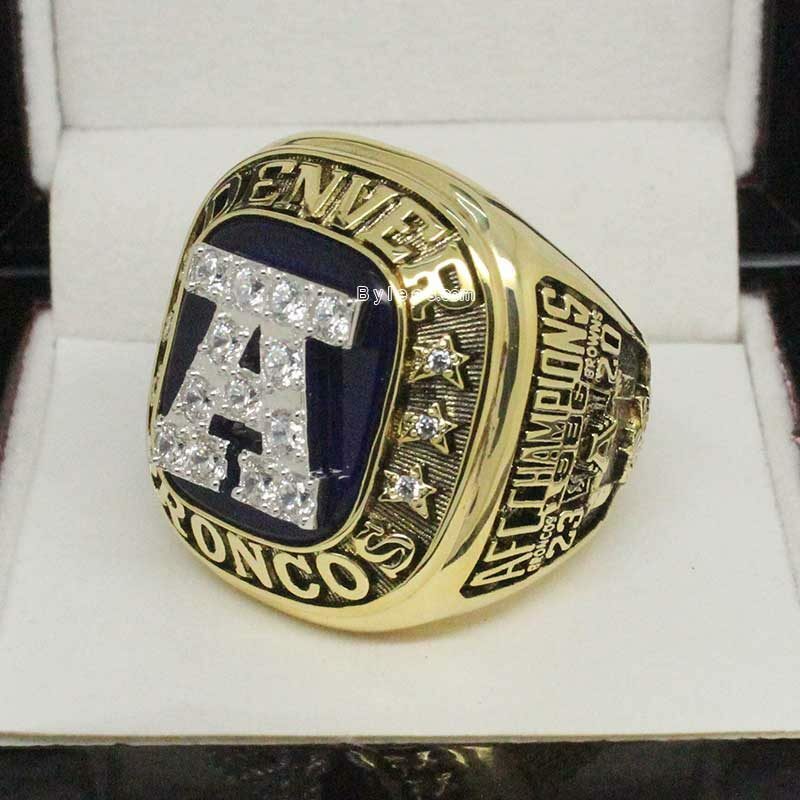 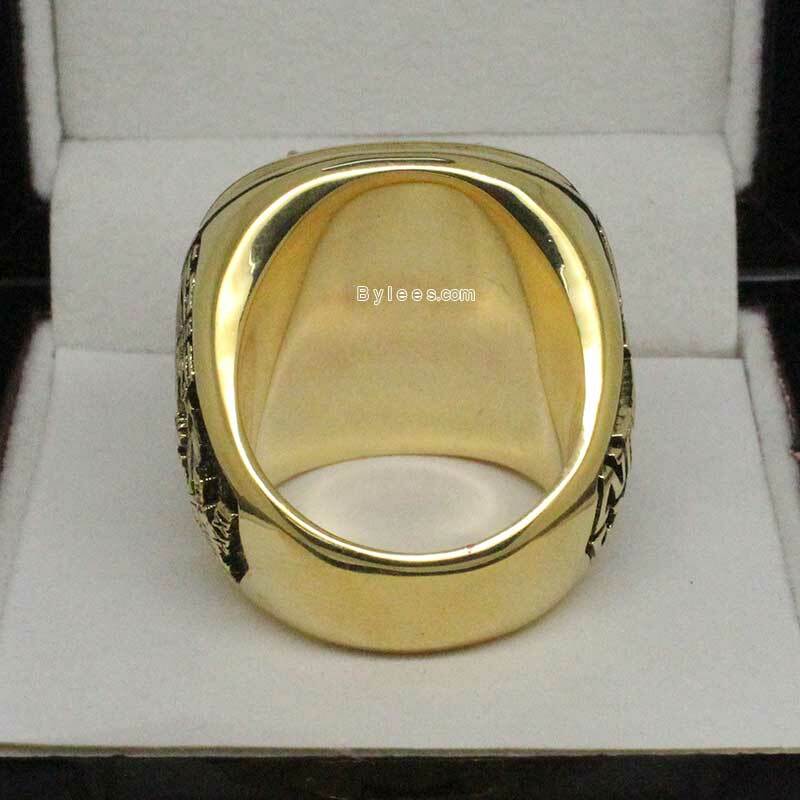 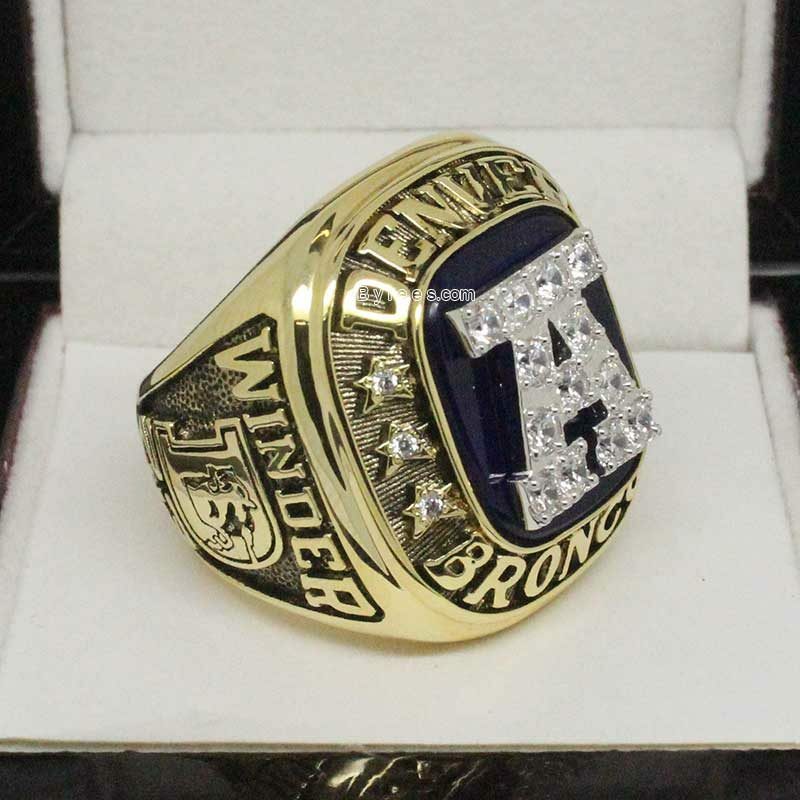 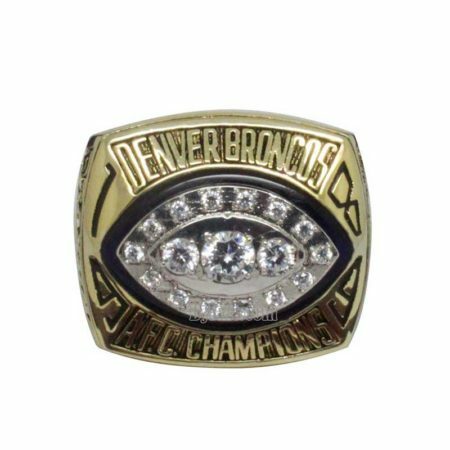 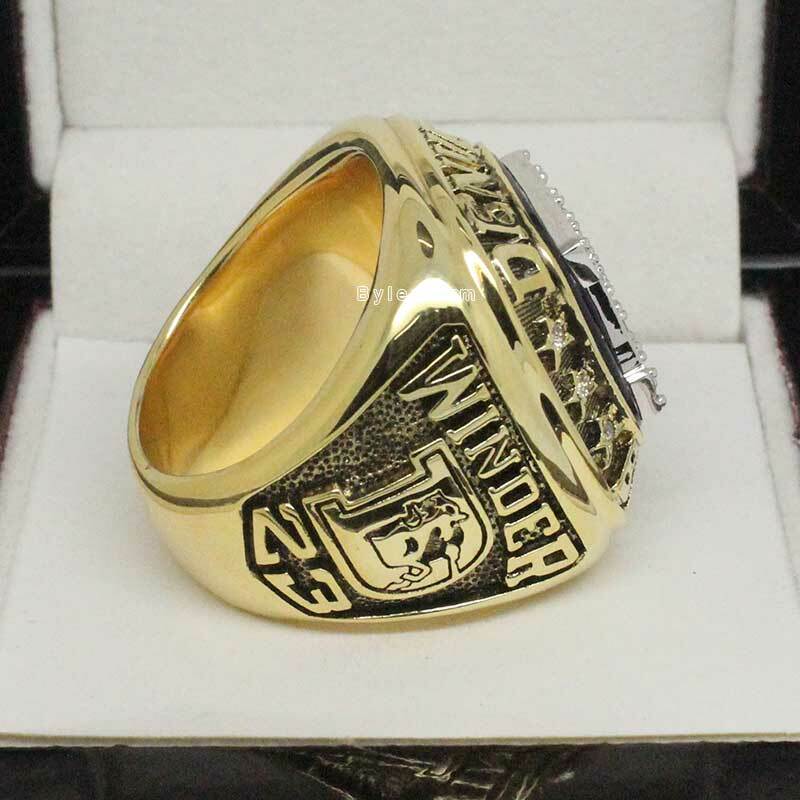 The 1986 Denver Broncos AFC Championship ring , same like the winning team in Super Bowl XXI, it gave up the logo icon and even shorten the AFC Champions as a “A” and marked it huge on the front. 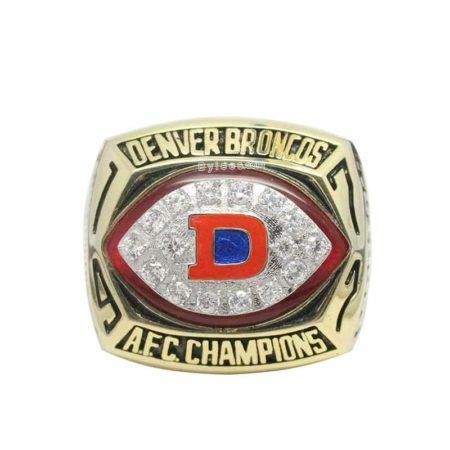 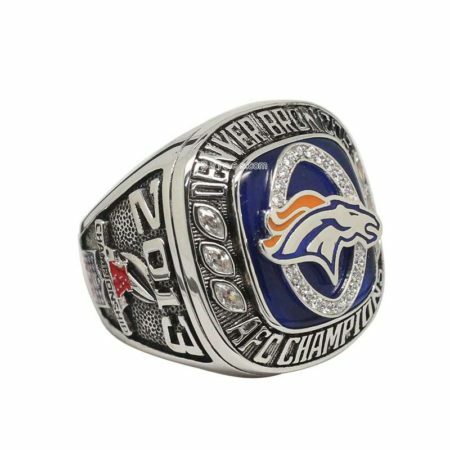 This is a little bit weird as it made the Broncos 1986 AFC championship ring look like a University championship ring ( Alabama Crimson Tide). 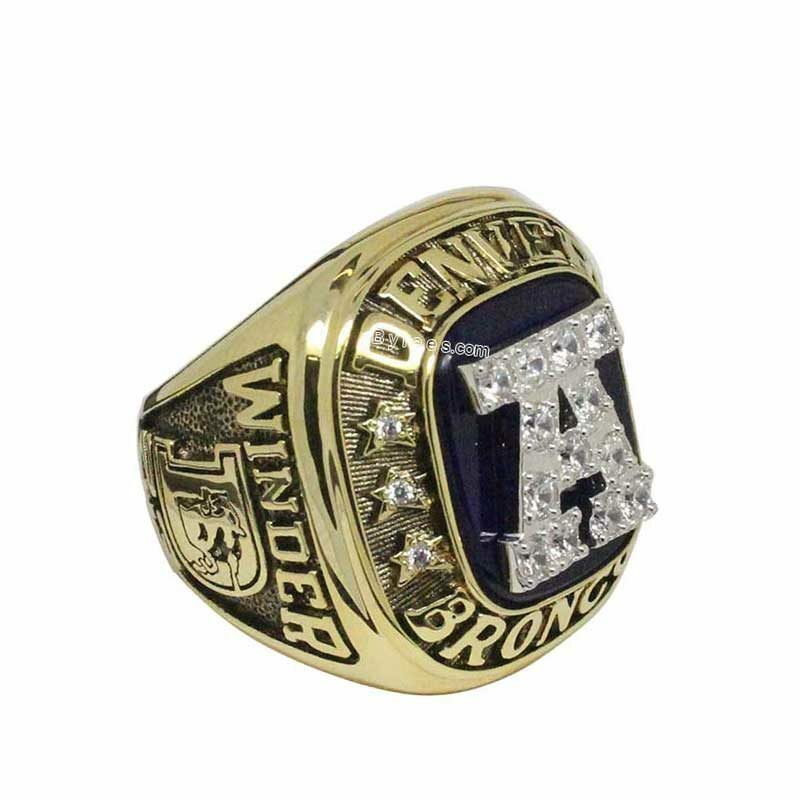 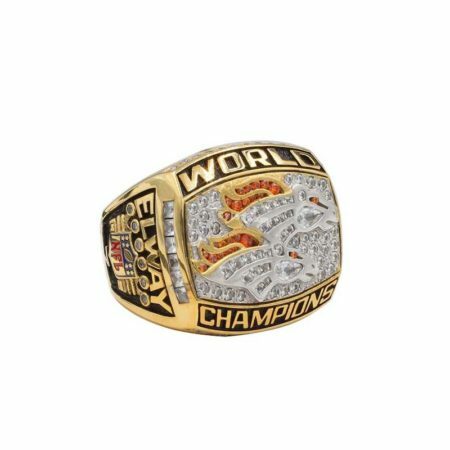 perhaps Jostens got a new designer and tried to make something special in that year. 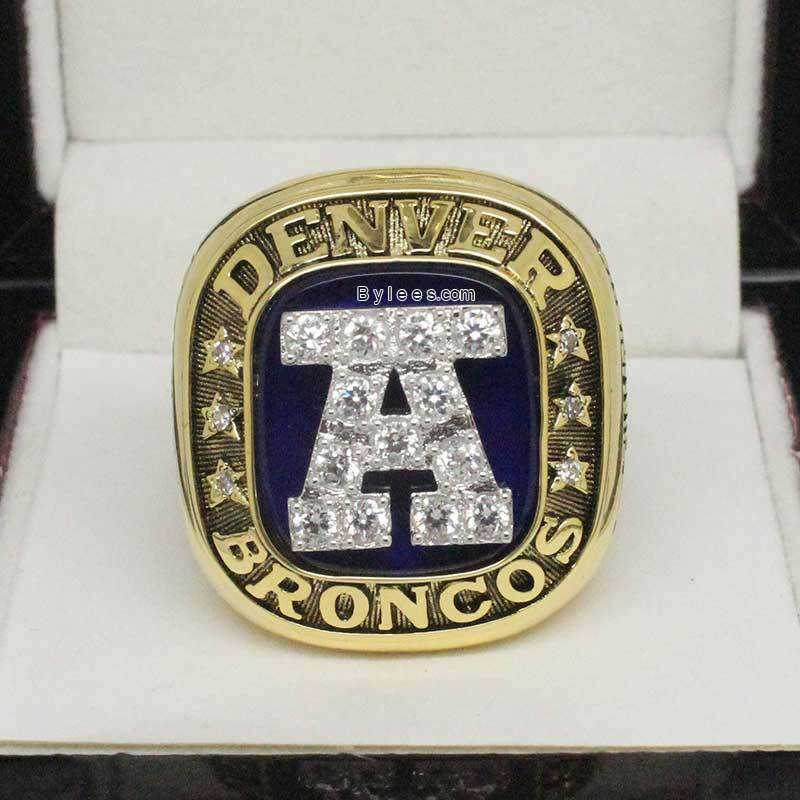 Excluding the above, the design is still good.